What Percentage of Body Mass is Bone? Our body composition is as unique as our fingerprints, but some general proportions for healthy individuals are constant. Human beings are made up of a few basic components such as bone, muscle and fat, and the percentage of each of these components in relation to overall body mass differs according to gender and genetics. Generally speaking, your bones make up about 15 percent of your overall body mass. The different parts of the human body can be reduced to a few basic building blocks that make up your bones and everything else. In fact, 96.2 percent of your body is made up of just four elements: hydrogen, oxygen, carbon and nitrogen. Most of these elements are in the form of water, which makes up 55 to 65 percent of the body mass in healthy, well-hydrated adults. Even your bones contain a good amount of water: up to 31 percent, according to the USGS Water Science School. Calcium, the element many people commonly associate with bones, makes up just 1.5 percent of the elements in the human body by mass. Your bone density is a good indicator for your weight and body mass. The relative density of your bones can predict your body mass within 87 percent using two methods: measuring your bone mineral density (BMD) and the calculating the cross-sectional area of the proximal femur. The combination of these methods is one of the best current indicators of obesity for skeletal remains. This indicates that the mass of your bones is proportional to your weight. Heavier or obese individuals will have denser bones, and their skeletons will make up a similar percentage of their overall mass. If you're keeping track of your bone mass, there's a good chance you might be checking your indicators for obesity or other weight-related diseases as well. While bone mass as a percentage of total body mass may not vary considerably, your fat percentage definitely varies according to your weight. 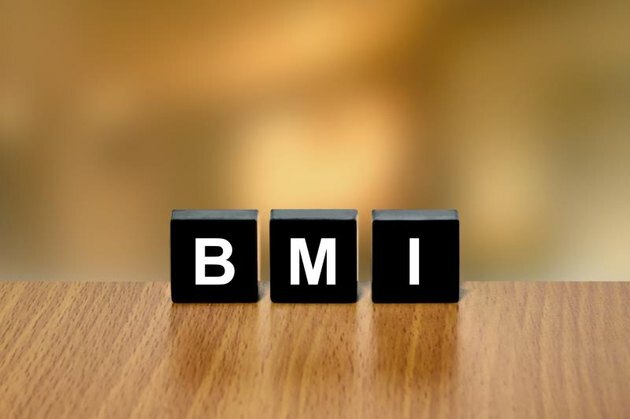 Checking your body mass index (BMI) using a BMI calculator can help you determine if your body composition resembles that of a healthy individual of the same height and gender. Everyone's body composition may be unique, but waistline and weight are robust indicators of overall health and risk factors associated with obesity. If you're concerned with keeping up your bone mass, there are a number of strategies for maintaining healthy bone density and good skeletal health. Impact exercises such as running and jumping, done in moderation, stimulate bone growth and an increase in bone density in individuals of all ages. In a study conducted by Kerri M. Winters-Stone of the Oregon Health & Science University, subjects that supplemented high-impact exercise with weight training saw additional bone density increases, with increases of up to 2 percent in the spine for individuals who implemented weight training in both the upper body and legs. Calcium, the often-discussed key to bone health, hasn't shown the same scientific promise; a study conducted by the Department of Medicine at the University of Auckland found no relationship between dietary and supplemental calcium and bone density, in an applicant pool of over 13,000 individuals. People most at risk for osteoporosis – "a disease of the bones that happens when you lose too much bone, make too little bone or both," according to the National Osteoporosis Foundation – include women, those over 50, women with menopause, people with a family history of the disease, those with low body weight and a small frame and those who have broken bones or lost height. The organization also notes risk factors that can be managed, including getting enough calcium and vitamin D; eating enough fruits and vegetables; limiting protein, sodium and caffeine in your diet; maintaining an active lifestyle; not smoking; limiting alcohol; and maintaining a healthy weight. 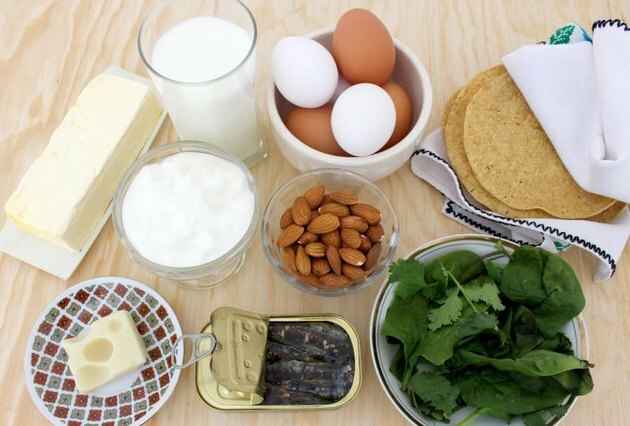 The NOF's Guide to Calcium-Rich Foods includes dairy, produce, seafood and more. 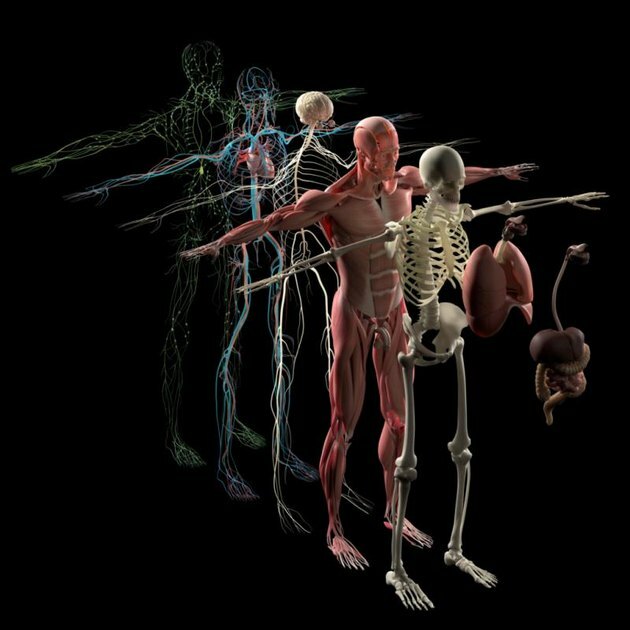 Arizona State University, School of Life Sciences: What Elements are Found in the Human Body? What Is Healthy Bone Mass?